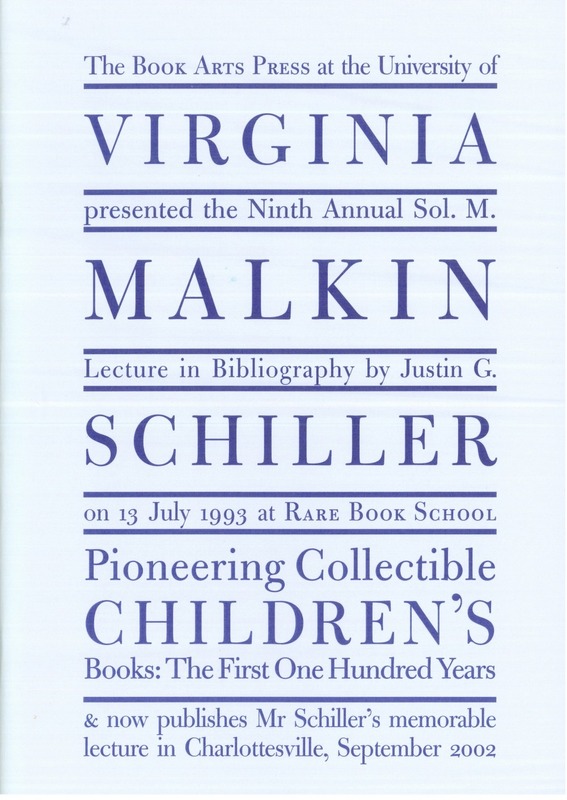 Schiller, Justin G. Pioneering Collectible Children’s Books: The First 100 Years. 2002. The 1993 Sol. M. Malkin Lecture.